This week, we are featuring another blog by another one of our spring interns, Meika. She is a senior at Hollins University in Roanoke, Virginia and is double majoring in history and political science with aspirations to earn an M.A. 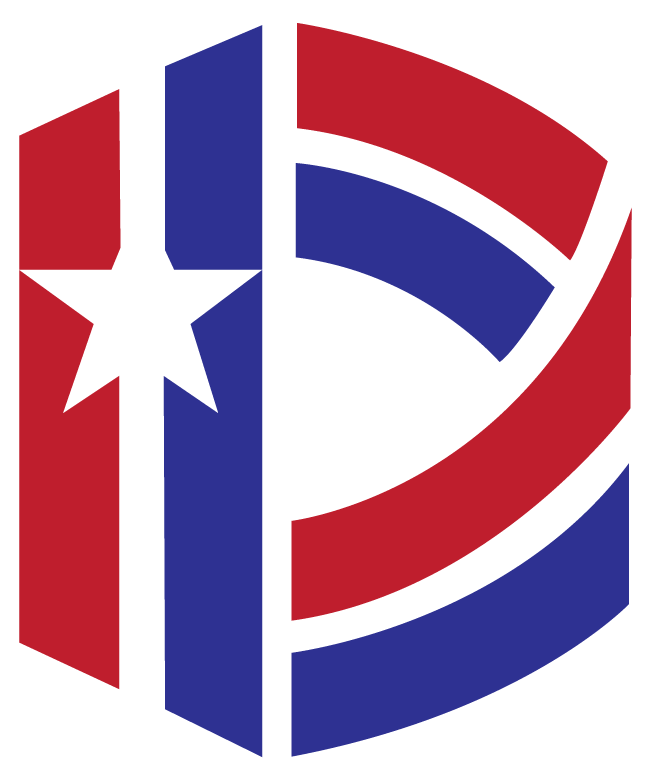 in Public History and then work in history museums, historic sites, or historical societies. She’s a long-time enthusiast of World War II and we are excited to have her on board this spring! I hope you enjoy her blog on the African American women who served in the Army Nurse Corps during World War II. 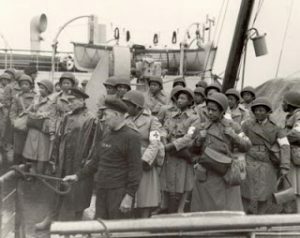 Black nurses landing in Scotland, 1944. African American women were not immune to the United States’ public call to arms after America entered World War II in 1941. Women who lived in a racially segregated and discriminatory country were willing and eager to join the Allied fight against tyranny and oppression in Europe. American white women are remembered for their heroic services during World War II as WACs, WAVES, nurses, factory workers, planters of Victory Gardens, and bandage rollers. Stories of their service are well known and constantly perpetuated during elementary school lessons of Rosie the Riveter. However, the story of black women who also served their country during World War II are less well known. One of the ways through which American black women contributed during the war was through their participation in the Army Nurse Corps. Due to the racial segregation and discrimination in the United States, black women found it difficult to join the ranks of the would-be 60,000 women in the Army Nurse Corps (ANC) during World War II. Even though the candidates had the same training and education as most of the white women who were admitted, government quotas placed limits on the number of black women who were allowed to join the ANC in 1941. In subsequent years due to the influence of First Lady Eleanor Roosevelt, quotas for black nurses to join the Army Nurse Corps began to loosen up and completely abolish the quota system in 1944. A black nurse treating a German P.O.W. in England, 1944. Though their numbers were small in comparison to the 60,000 white nurses, the less than 600 black nurses eventually admitted to the ANC were happy to finally be able to serve their country. Despite their segregation, discrimination, and occasionally rudimentary jobs assigned to them, black nurses in the Army Nurse Corps were able to see a bit of the world during their service. Though black nurses were largely restricted to serving only in hospitals and aid stations occupied by black military men, a demand for medical care brought black nurses to England, Burma, Africa, and such faraway places such as Liberia and Australia, and other locations in the Pacific. Other nurses remained in or returned to the United States to work in convalescent, general, and station hospitals. 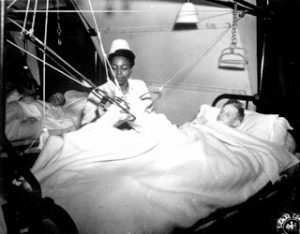 In addition to serving the black troops, black nurses were also provided medical care for German prisoners of war in England and in as obscure places as Arizona in the United States. Due to labor shortages in the United States, the government made use of a free source of labor: German prisoners of war, and thus transported them from Europe to work on farms or other labor sites. The work given and sacrifice made by black nurses during World War II not only achieved progress for black nurses in the form of increased federal funding and recognition, but they also inspired a new generation of nurses. Following the eradication of the quota system in 1944, over 2,000 young black women enrolled in the Cadet Nurse Corps program and other nursing schools. The 600 African American nurses in the Army Nurse Corps deserve to become part of the narrative of American women who served during World War II and I hope that further research can be conducted and further recognition duly awarded. Today is Memorial Day 2018. As I watched CBS This Morning, there was a story honoring American women’s service in the armed forces. Unfortunately they did not highlight any African American nurses and their contributions during the war despite the racial barriers placed upon them. These women performed their duties honorably and need to be recognized. My mother, Mrs. Sadie Jones Coates, was a WAC during WWII and served in the nursing corp state side. She has told us many stories of her time in the Army and at 98 still remembers it. I have tried to research but little is available other than her official picture and discharge papers.